It's that time of year again! Time to celebrate my wife's birthday. 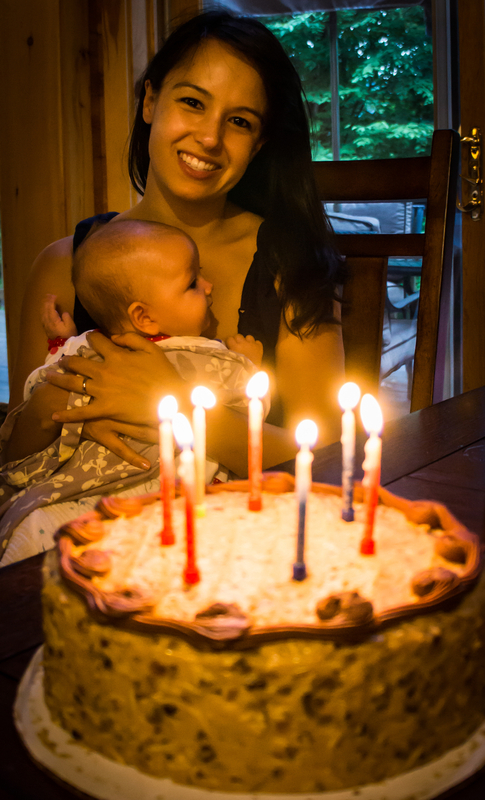 I thought I'd snap some pictures of her blowing out some candles with my Sony Nex 7. I would really love some criticism of this photo because I know how incredibly hard these types of photos can be. I shot this at ISO 1600 at 18mm and f /3.5. What would you have done? My wife Natali on her birthday.